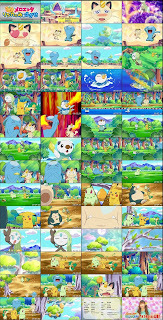 Young girls manga magazine Chao August has the DVD attachment,containts Pokemon OVA 'Sing Meloetta : Search for the Rinka Berries (うたえメロエッタ リンカのみをさがせ)', publish from Shougakukan on 3 July 2012. 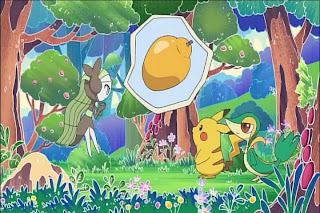 Meloetta has throat touble, Pikachu and Snivy search for the Rinka Berries for her throat cure. 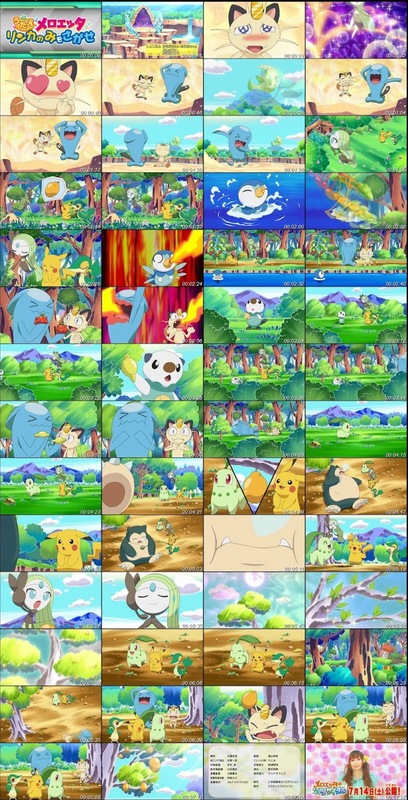 Meowth and Wobbuffet run after Meloetta. 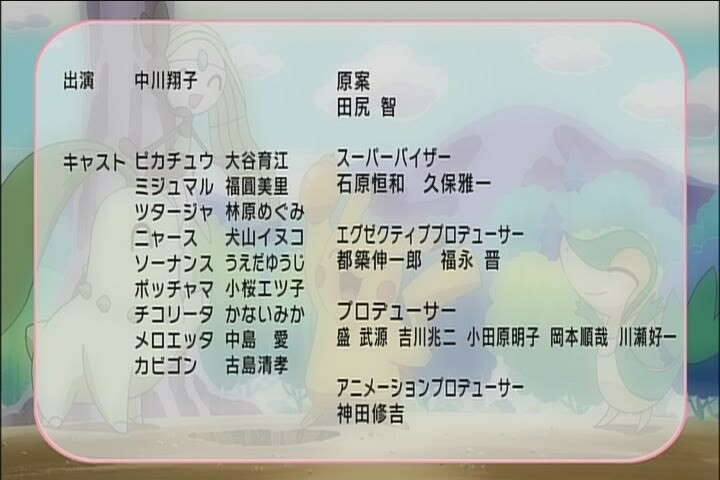 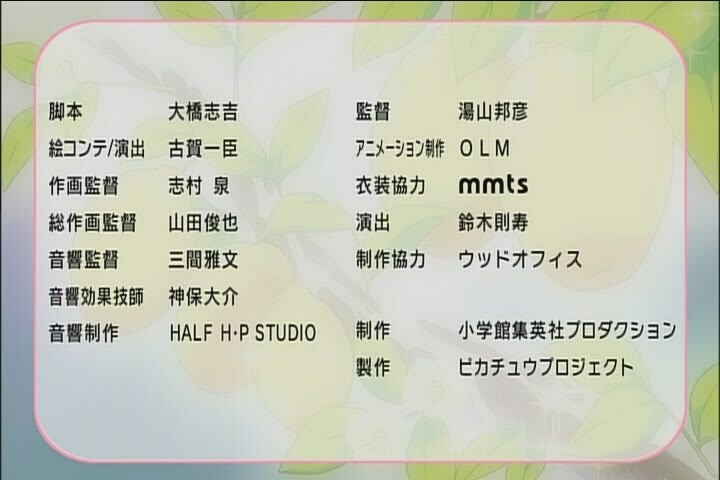 "Meloetta（Aria, Pirouette formes） - Ai Nakajima"
Oh I mistook her name orz, now corrected.